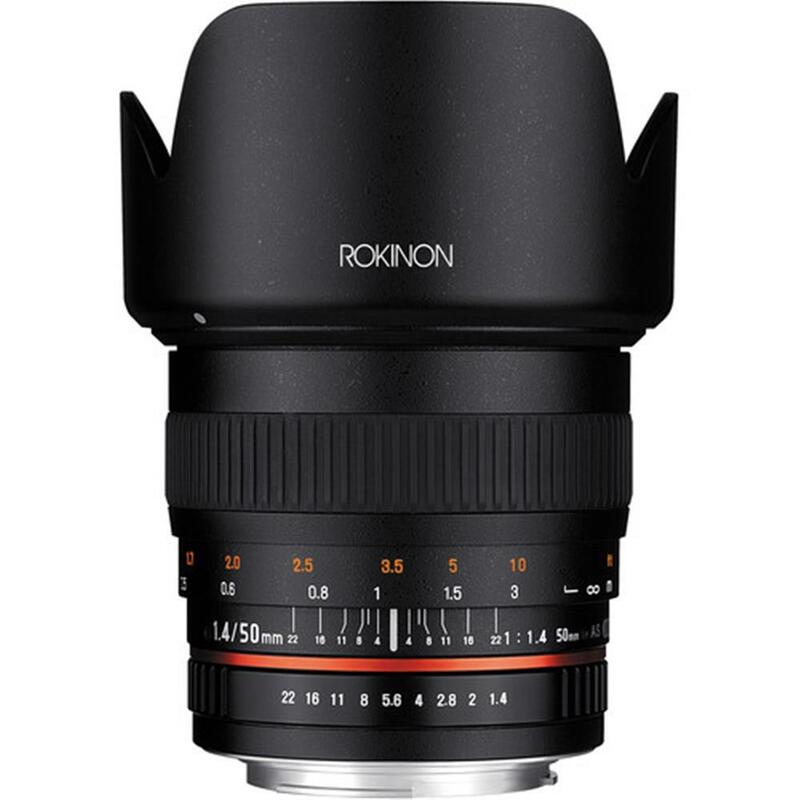 The 50mm f/1.4 AS IF UMC Lens from Rokinon offers a standard 50mm focal length in the full-frame format and a very fast f/1.4 maximum aperture for effective low light capture, fast shutter speed shooting and shallow depth of field control. When used on cameras with an APS-C format sensor its 35mm focal length equivalence is 75mm. The optical design of the lens consists of 9 elements in 6 groups including one hybrid aspherical element and one aspherical element to reduce chromatic aberrations. Also, lens elements are coated with an Ultra Multi-Coating to improve light transmission and minimize flare and ghosting. Eight diaphragm blades create a circular aperture for more attractive out-of-focus highlights. As a manual focus and manual aperture lens, it provides a wide, rubberized focus ring and clear aperture, distance and depth of field markings. 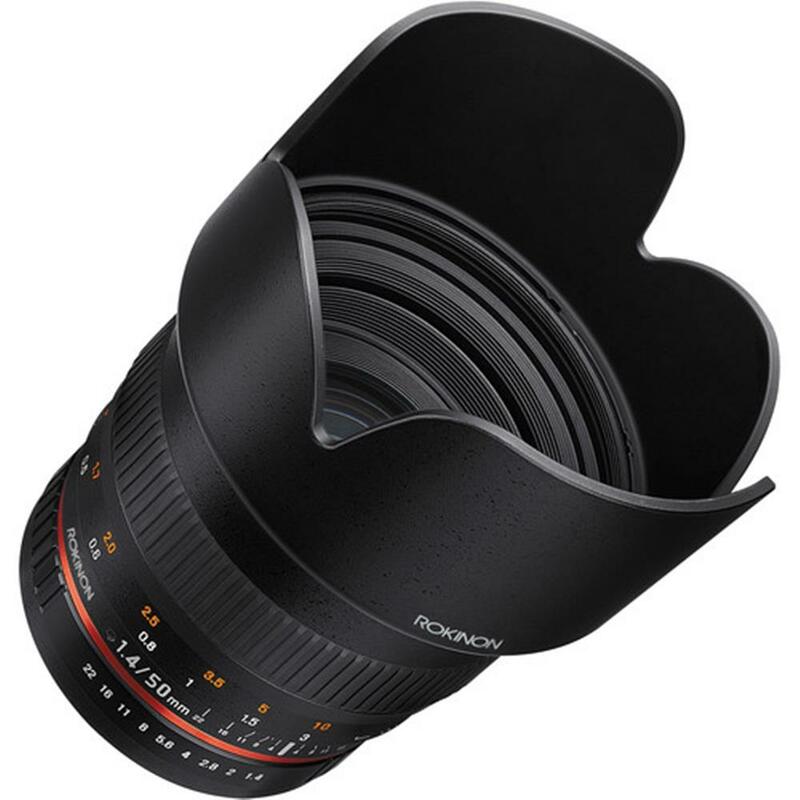 Its internal focus system will not extend the length of the lens while focusing and an included petal shape lens hood blocks unwanted light and protects the lens.